While studying musicology at UCLA, I completed two term papers. If you’d like to read them, please go here to see my paper about new Cuban music, called Timba. 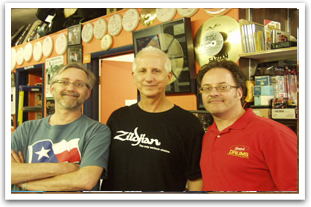 Chuck has written or been featured in many magazines worldwide including Talking Drums magazine, Modern Drummer,Slagwerkkrant (The Netherlands), Rhythm (UK), Batteur (France), Drums and Percussion (Germany), Sticks (Germany) and Percussioni (Italy). His ideas about the drum set, drums, and drumming are always expanding with the main focus always being how to have more fun playing drums. 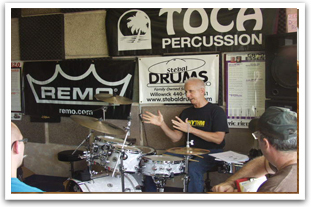 Recently, hand drums have been added to the Silverman Rhythm Workshops. The Workshops themselves have become more interactive, where the audiences find themselves a part of the performance. It’s an exciting way to learn about drums and feel the power of rhythm!